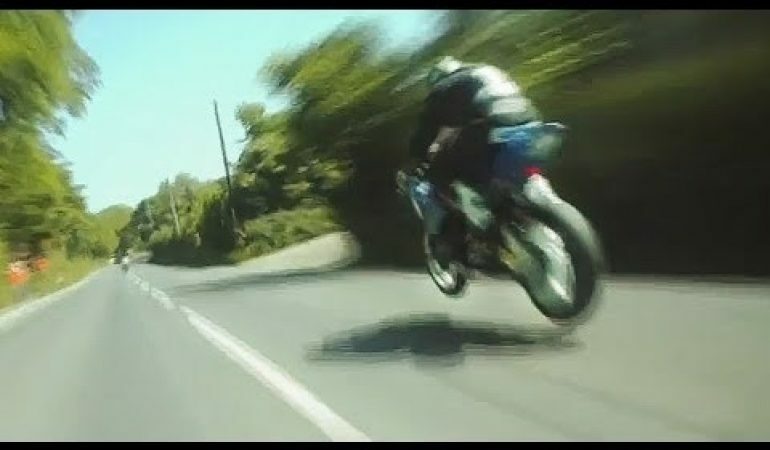 Wow, this is an amazing video that will shock you by showing you just how fast the motorcycle racers Guy Martin and Michael Dunlap speed along the surface roads at the Isle of Man Tourist Trophy race, a race that many call the greatest motor-sporting event on the planet. 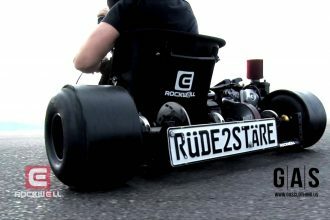 Filmed by a video camera stuck to a rider’s helmet, this video is nitty-gritty in a good way being able to give you a fairly good feel for how the bikes race down the roads and jump over the hills. It really is incredible to see just how close to the edge these motorcycle racers push it.